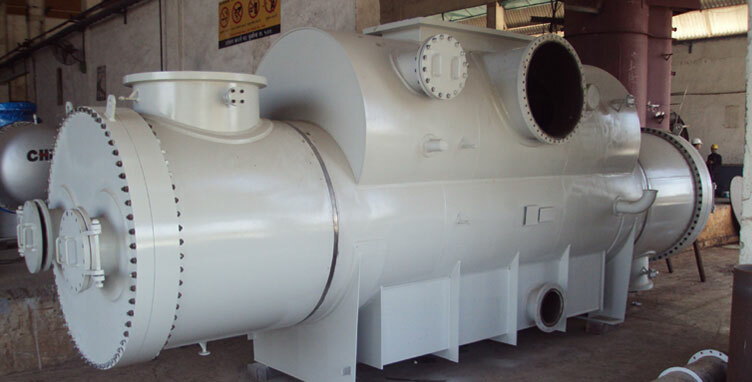 The Draft Tube and Baffle Type (DTB) Crystallizer, is an elaborated mixed suspension mixed product removal design, which is suited for vacuum cooling and for processes having a moderate evaporation rate. Since almost heat make-up is required, the arrangement is compact and hence initial investment is minimized. 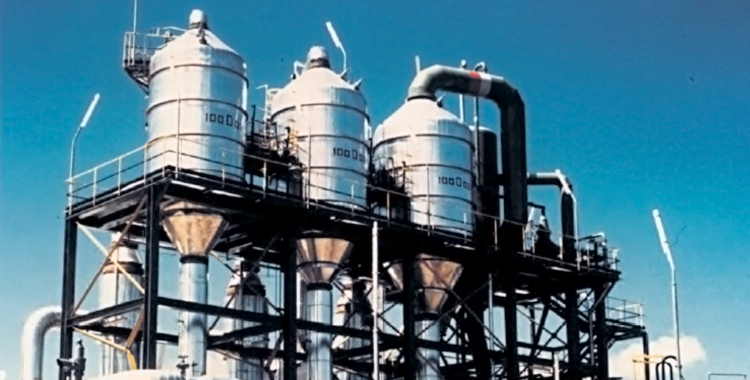 They are normally used for producing large size crystals of ammonium sulphate, potassium chloride, diammonium chloride etc., in the fertilizer industry. The DTB Crystallizer units operate with low supersaturation, which at times is a limitation to the crystal growth; very large crystals can be produced only by providing extensive and costly dissolving of fines. When destruction of fines is not needed or wanted, baffles are not provided and the internal circulation rate is set to have the minimum nucleating influence on the suspension. When large evaporation rates are required, external heating must be provided. To achieve an effective process control it is important to control the retention time and the crystal mass, to obtain the optimum conditions in terms of crystal specific surface and the fastest possible growth. This is achieved by a separation of the crystals from the liquid mass, in order to manage the two flows in a different way. 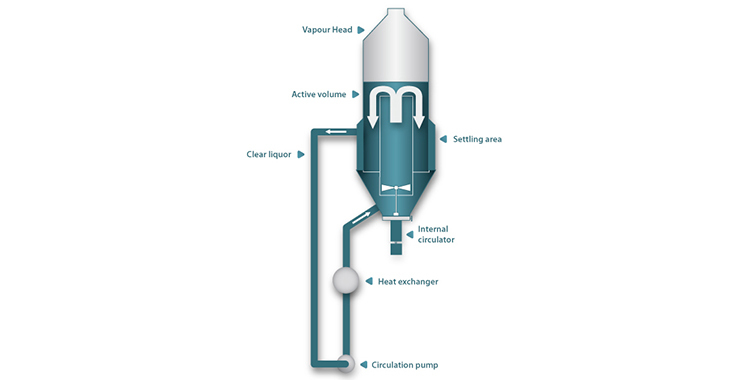 The practical way is to perform a gravity settling to be able to extract (and possibly recycle separately) the (almost) clear liquid, while managing the mass flow around the crystallizer to obtain a precise slurry density elsewhere. It has an internal circulator which pushes the solution upwards in a draft tube while outside the crystallizer there is a settling area in an annulus; in it the exhaust solution moves upwards at a very low velocity. This is so that the large crystals settle and return to the main circulation, while only the fines ones, below a given grain size, are extracted and eventually destroyed by increasing or decreasing temperature, thus creating additional super-saturation.